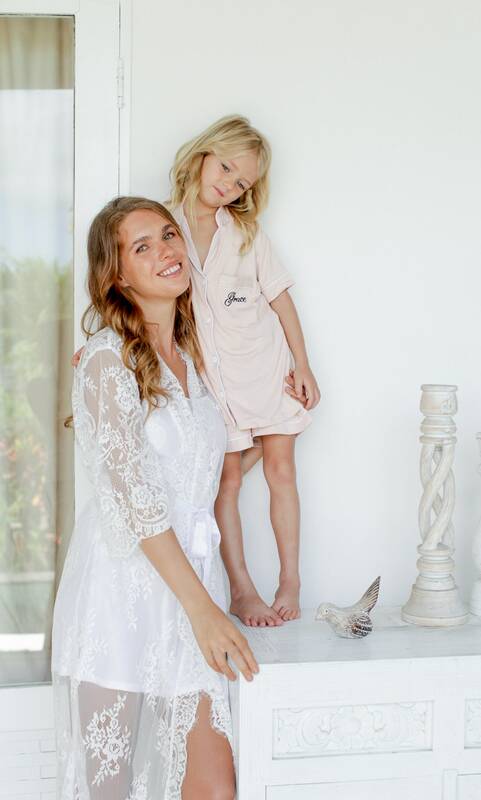 Our Katherine Lace Robe is the perfect choice for any bride. Intricate as it is delicate, this white, tea-length robe features our unique Chantilly fine lace. As a bride, you deserve these best, and the Katherine Lace Robe will stand the test of time. 🔸Knee Length is 35.6", Mid-Calf Length is 42", Full Length is 52"